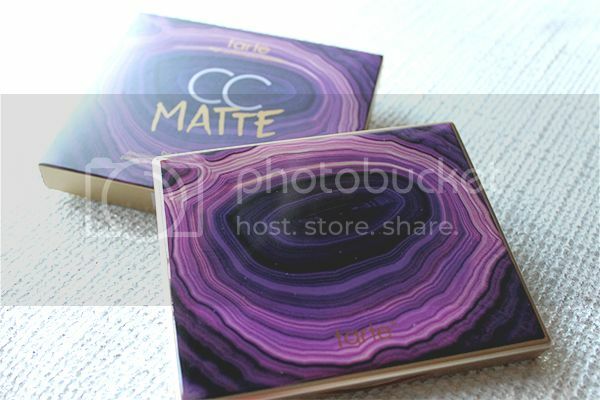 Tarte is a wonderful, wonderful makeup line that is slowing pulling money out of my wallet. 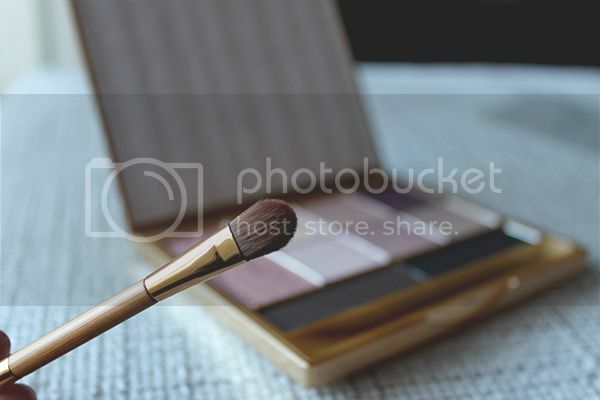 I'm already a fan of their "BB" tinted moisturizer, their amazonian clay blushes, their tinted primer, the works! But I've yet to purchase any eyeshadows, mainly because I'm not that adventurous and I feel like my Urban Decay naked palettes serve me just fine. However, when this new Be MATTEnificent palette came out with a huge launch of other 2014 Tarte products, I new I was gonna buy it. Okay, Ryan bought it for me. But I bought dinner, so. Our first ever all matte palette features 8 new limited-edition eyeshadows and 1 blush in universally-flattering shades for an endless variety of everyday looks. Amazonian colored clay mattifies as it helps control oil for better application, longer wear and truer color that won't fade, crease or budge. Color-correcting Amazonian colored clay brightens, evens and soothes skin on the cheeks and eyelids while the velvety formula glides on smoothly without settling into fine lines. First, The packaging. I don't think I have typical packaging taste. Some of it looks so overdone and it makes me wanna barf. But I don't wanna barf on this, it's beautiful. 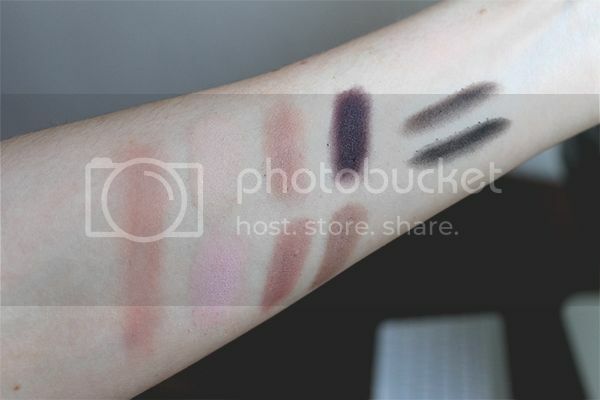 The MATTEnificent palette is, you guessed it, all mattes. 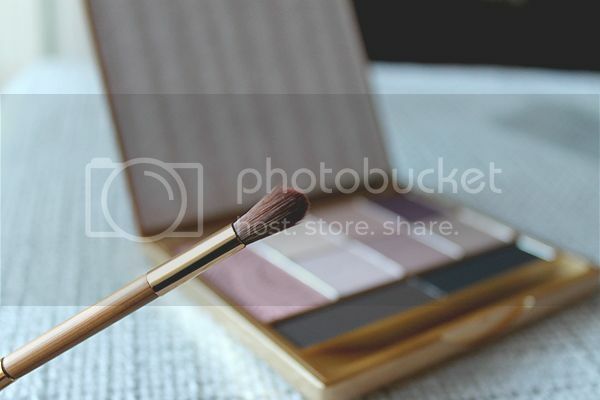 It contains 8 eyeshadows (2 are meant to be used as liner), a new blush color, and a double ended eyeshadow brush. Also take note of the very large mirror inside. There is no wasted space in this palette, that's for sure. Far left: Amazonian Clay 12-hour Blush in 'Elevated'. Now personally, I can't attest to that. Those kinds of things just go unnoticed by me. I have pretty oily lids, but I wear a primer so I can't say that these shadows offer any special oil control. But hey, it's a nice thought! I basically love everything in this palette, save for the clear slip that sits on top of the product and is the only thing that indicates the color names. C'mon, I'm going to lose that. 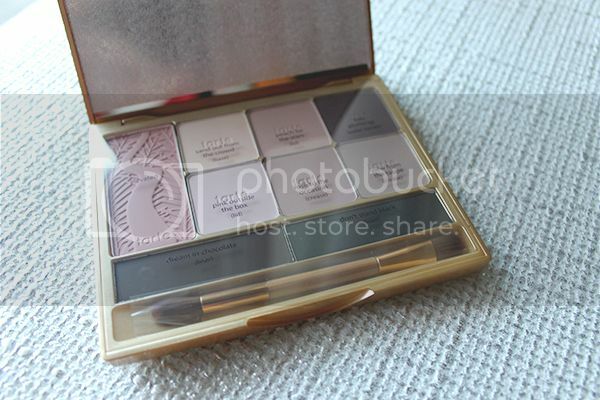 I think this is a great palette for traveling light. It's nice and compact for all the products in contains, and the lid snaps firmly shut so you won't worry about it busting open in your bag. Oh, and Cooper approves of it, too. Price: You can pick it up for $36 at your nearby Ulta or Sephora, as well as online at Tarte.com. For 1 blush, 8 eyeshadows and a double ended (usable) brush, I'd say that's a fantastic deal. 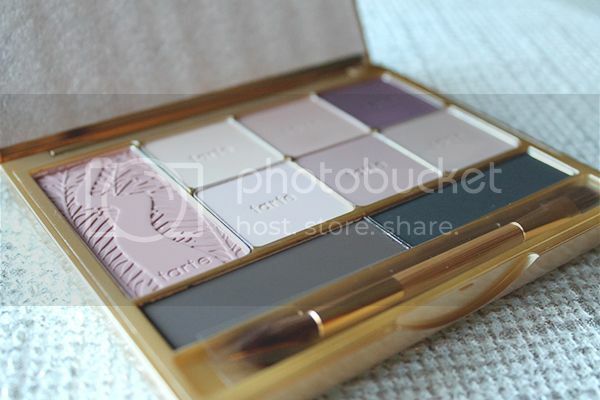 This is just a glimmer of the new Tarte products in the Spring 2014 collection. Have you guys gotten anything yet? How do you like it? I personally am eyeing the colored clay CC primer and the collector's-edition super size maracuja oil. A girl can dream, right?